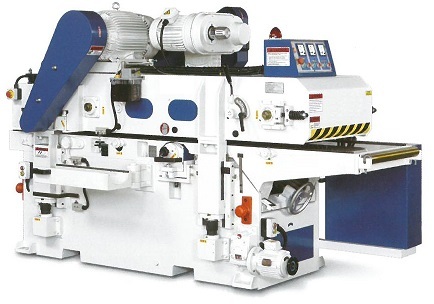 Top & Bottom straight cutterheads for accurate and powerful two-sided planing in one pass. 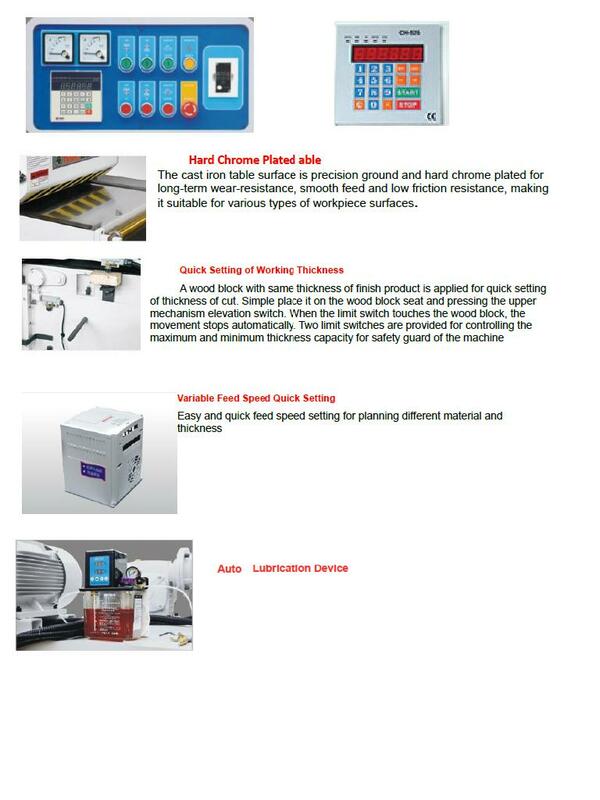 Optional auto digital thickness control for quick and accurate setup. The work table surface was precision ground and then electro chrome plated and polished to a smooth mirror finish. The durable wear resistance surface is easy to clean and maintain. A heavy duty feed conveyor with metal spikes firmly holds stock securely to the work table and feeds positively giving a smooth finish for rough or final planning. 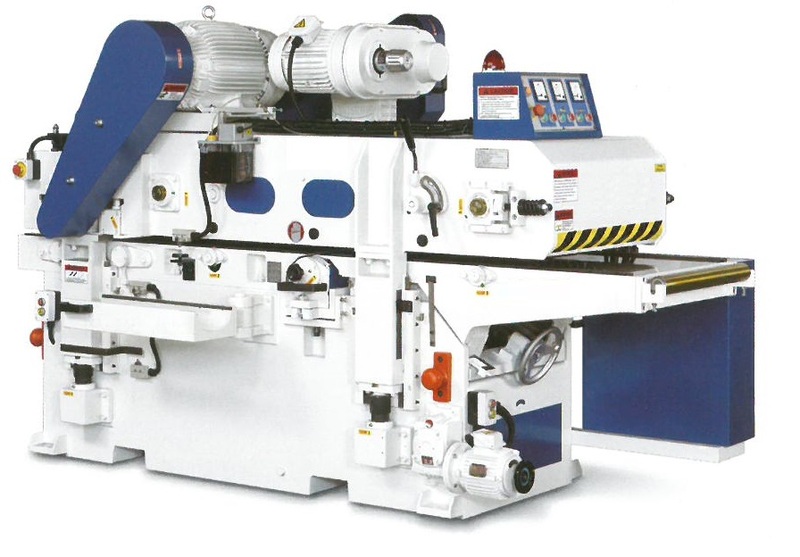 A stepless variable speed control for smooth adjustment of feed rate depending on the material hardness, depth of cut & width to provide the best finish surface and fast cutting performance. The infeed conveyor is fitted with numerous pressure pins so the feeding process can be firmly stabilized. 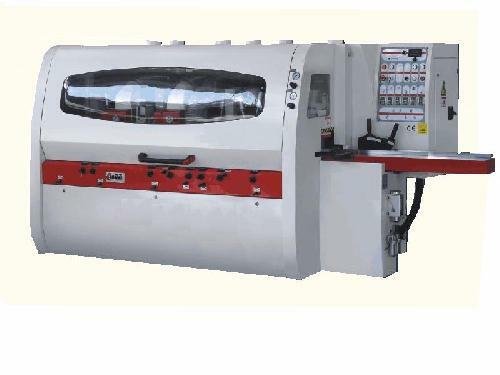 It will moderately press the stock, and then accurate planing surface can be performed to prevent jumping during processing of narrow or bent material. The 4 power feed rollers are driven with a geared transmission box linked with heavy-duty drive chain and gears to provide a smooth even feeding during rough or finish planing. A twist torsion anti-kickback device provides additional safety. It’s designed to work in conjunction with the built in conveyor stop. It safeguards mechanical parts in case of overload. The heavy duty rigid cast iron frame supports the work table and helps dampen vibration and ensures years of dependable service. All precision sealed long-life bearing for durability usage. A swivel stand is designed for convenient knife changing on the lower spiral cutterhead. Changing the Carbide inserts on the upper cutterhead only requires removal of the upper dust chute; the top cutterhead inserts can then easily be changed. 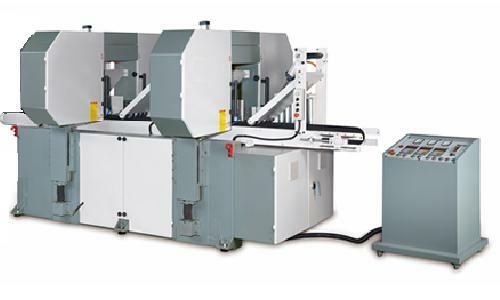 The spiral insert heads design allows for fast accurate insert changes & minimum down time. 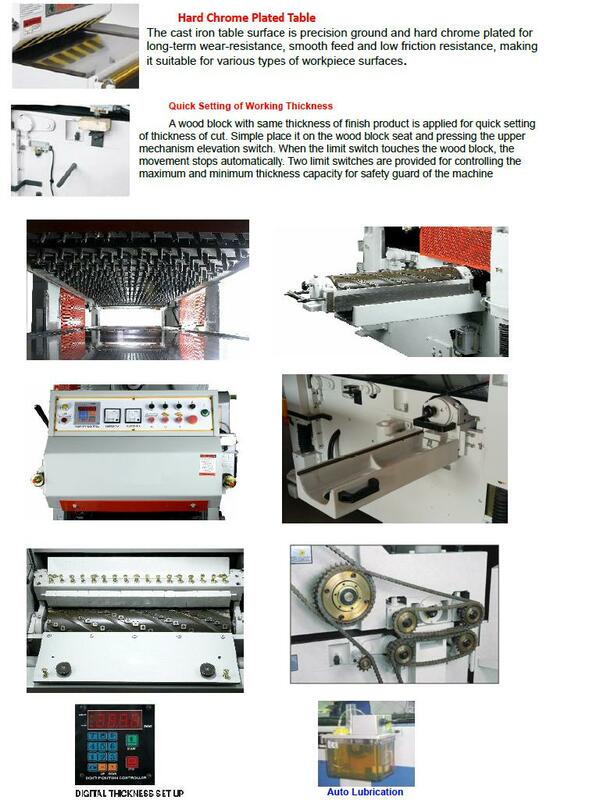 Setup time is minimized to set cutterhead height using the auto material thickness device. 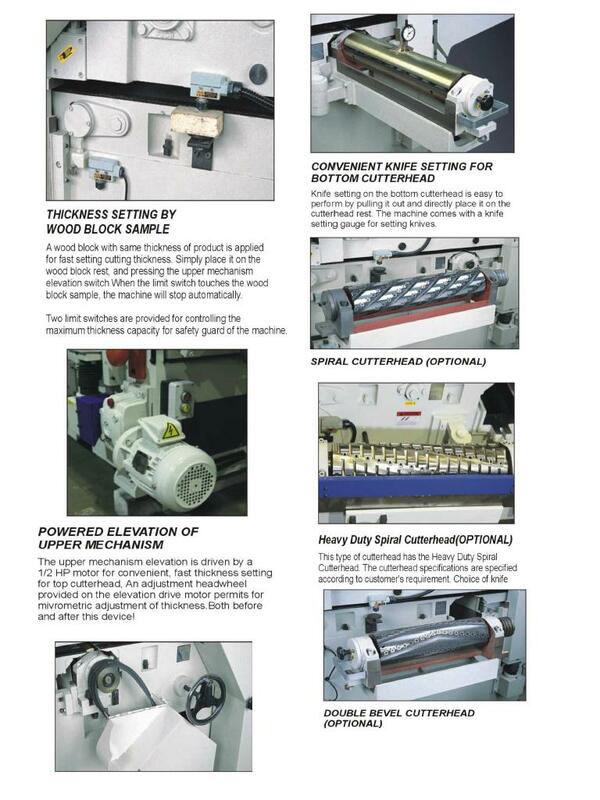 The top and bottom cutterheads are precision balanced to provide consistently smooth chatter free planing regardless of the feed rate or hardness of material being planed. A powerful ½ HP motor is utilized to quickly & conveniently make adjustments in thickness when setting the upper cutterhead.